Sunday 9 June is Open Farm Sunday, a special day to celebrate British farming and offering the public a fantastic chance to see for themselves how the food and farming chain works and, in many cases, see it in its entirety for a whole range of foods from fresh produce to dairy. Visitors to the hundreds of farms opening across Britain will get to meet the people who grow and produce their food and also to understand more about how and why farmers care for the countryside and why that matters to us all. Last week I was lucky enough to be invited to visit a local farm taking part in Open Farm Sunday for the first time this year. Wookey Farm is a couple of miles from Wells in Somerset. 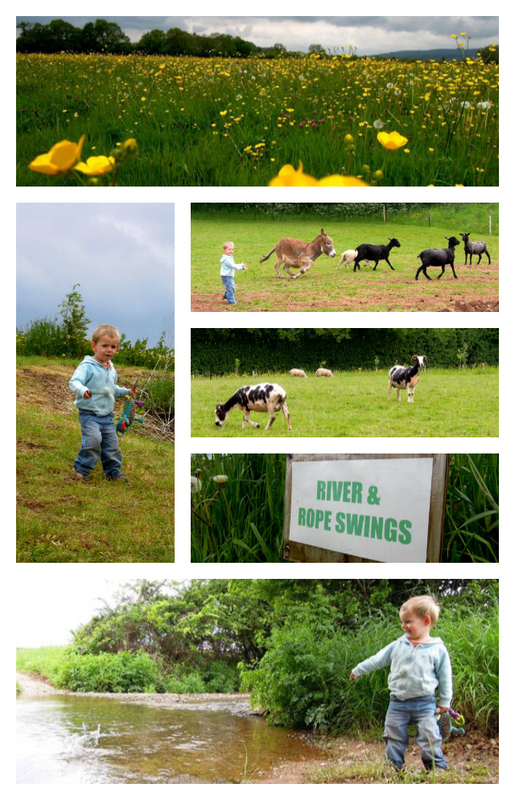 Overlooking the beautiful Mendip Hills, this 42 acre goat farm is run by Sarah and Ian Davies with their two young sons. As well as goats, they have a donkey called Pickles, 20 sheep, seven hens, three pigs and a friendly Springer Spaniel called Jake. 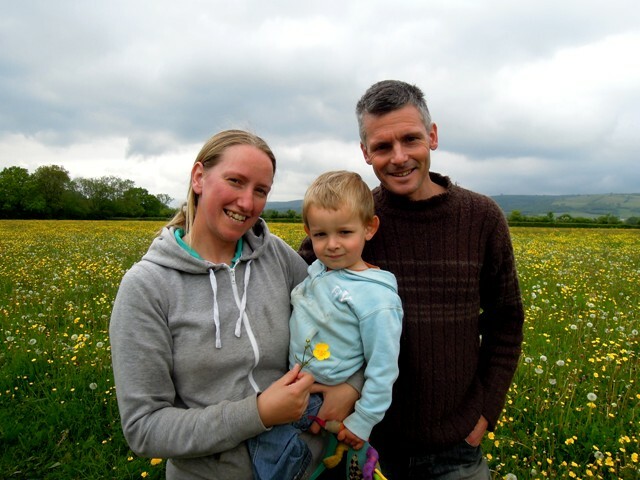 They are also hosting a couple of WWOOFers called Claire and James who are staying on the farm for three weeks to pick up valuable hands-on farming experience. One of the fields at Wookey Farm provides the most idyllic setting for a campsite. With 15 pitches for tents, caravans and motorhomes, the campsite is particularly popular with families with young children looking for an environmentally friendly way to get away from it all. 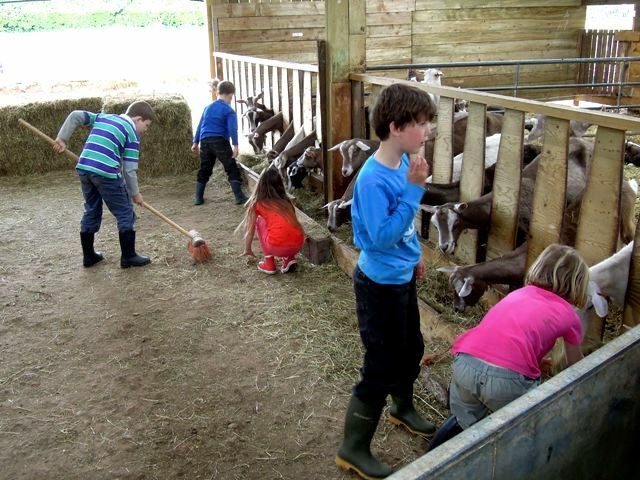 The children staying on the campsite get to help out on the farm and during my visit it’s lovely to see so many children in the barn lending a hand, pointing out all the different goats and telling me the names they’ve come up with for them. Legend and Burn Mark are particular favourites. 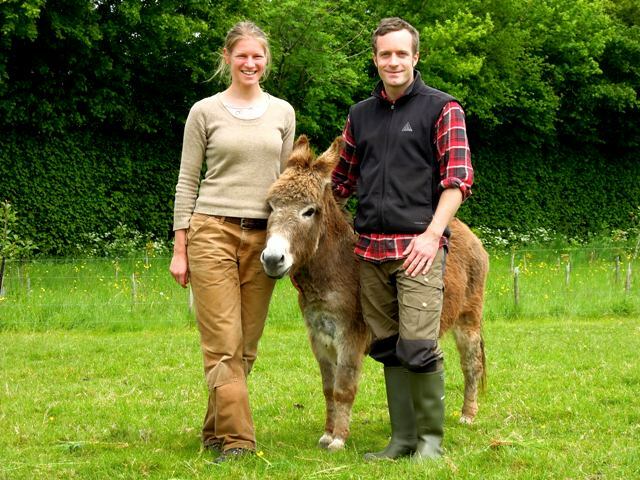 Sarah and Ian have been at Wookey Farm for three years. Both hailing from farming families, farming is in their blood and their passion for what they do is clear for all to see. As little Alistair runs ahead as his parents show me around the farm, chasing the donkey or throwing stones in the river, I must admit to being more than a little envious of the way they live. A farmer’s life is certainly not a glamorous one; it’s full of early starts and sheer hard graft. But the perks are truly wonderful ones. 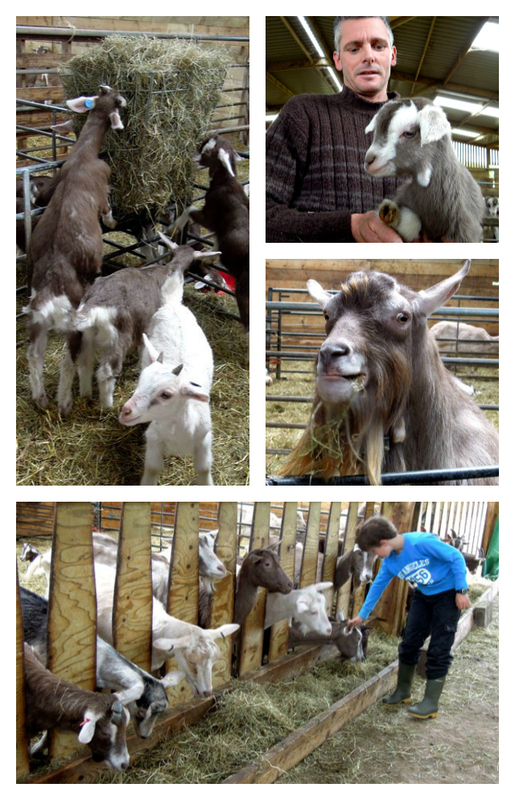 With currently 150 goats (including 75 adorable kids), the rhythm of Ian and Sarah’s day is set by the milking of the herd twice a day in the morning and evening. They sell the milk to campers and at the occasional farmers’ market, along with their other produce, including homemade cheese and fruit smoothies, goat meat and sausages, eggs and delicious Moroccan goat tagine ready meals lovingly prepared by Sarah. Sustainability is incredibly important to Ian and Sarah. Their barn is built entirely from wood with 42 PV solar panels on the roof, providing electricity for the farm and campsite during daylight hours, with the excess feeding into the national grid. The campsite is a low impact site with no roadways or concrete shower blocks and all the toilets are compost loos. They recently planted 2.5 acres of native woodland trees (around 1,600 trees) and everything on the farm and campsite that can be recycled is. Wookey Farm will be open on Sunday 9 June from 11am to 4pm. I’ll be taking my family along as I know Jess and Mia will love meeting the goats, especially the cute little babies, and wanging a few wellies, while I’m keen to stock up on goat’s cheese and try some goat sausages too. So maybe we’ll see you there? 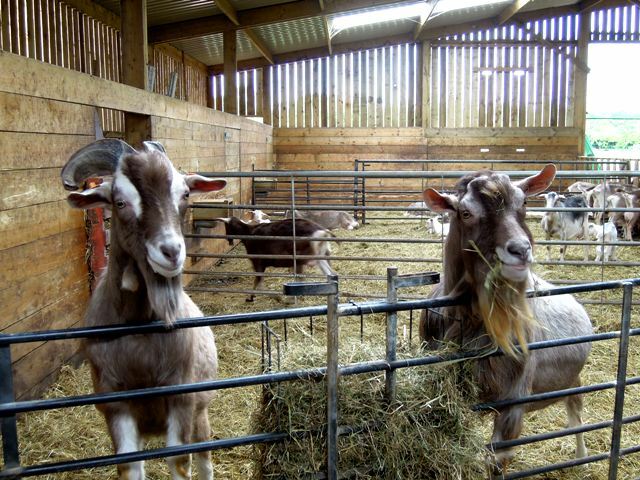 Or if Wookey is a little far, visit the Open Farm Sunday website for details of farms in your area that will also be opening their gates to the public. Open Farm Sunday is organised by LEAF (Linking Environment And Farming) the leading organisation delivering sustainable food and farming. Wookey farm does look idyllic – a bit too far for us to travel though. But now that you’ve reminded me about open farm Sunday, I’ll hop across to the website and find something a little more local. Hope you all enjoy your farm visit on Sunday!